Oktoberfest is so famous that it has inspired many similar festivals in other cities, much to the delight of enthusiastic revelers. This means that you won’t have to travel far to find festivities when the time rolls around. Since you have so many to choose from, you’ll want to be sure to pick one whose surroundings are just as incredible as the celebrations. Our favorite is the Big Bear Oktoberfest, and here’s why. With a beautiful location by a lake that enjoys a dramatic backdrop of the San Bernardino Mountains, there is so much to do here—you won’t be limited to the Big Bear Oktoberfest. Request access to our complimentary Vacation Guide for instant access to top recommendations for all the best outdoor recreation, events, dining, and more! What Is the Big Bear Oktoberfest? 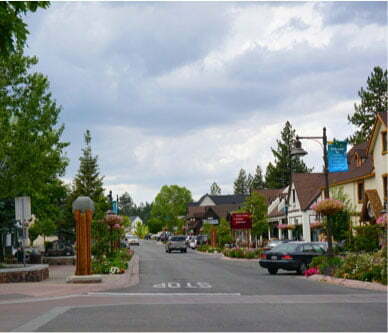 Big Bear Oktoberfest is modeled after the original Oktoberfest held annually in Munich, Germany. Oktoberfest is above all else a beer festival. Big Bear Lake’s Oktoberfest stays true to this focus while adding local influence through vendors and entertainment. Thousands of people attend this lively celebration each year at the Convention Center at Big Bear Lake. The 2018 Big Bear Oktoberfest begins September 9th and continues each Saturday and Sunday through to November 3rd, making this extravaganza longer than even the original! The Big Bear Oktoberfest is also one of the longest-running Oktoberfests in California, not to mention one of the most authentic, as it was founded 48 years ago by German immigrants Hans and Erika Bandows. There is no fee to attend the Big Bear Oktoberfest. Once inside the convention center, you can purchase beer tickets to exchange for, well, beer. Beers are offered in two different sizes. You are allowed to bring your own stein, though it is subject to the same ticket system. If you have a little too much fun, don’t worry. You can take the complimentary shuttle back to your lodgings. What Will I Find at the Festival? When small brewers brew beer based on traditional or innovative methods. India Pale Ales usually have a higher alcohol content, as they are made with more hops. They tend to have a more bitter taste. Lagers are fermented at cool temperatures. They can be pale, golden, amber, or dark, and tend to have a more clean, crisp taste. 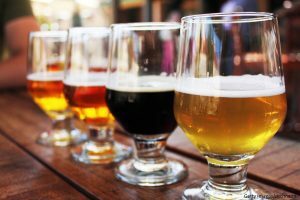 Ales, on the other hand, are fermented at warm temperatures, which imparts a sweet, full-bodied taste. Ciders are quite sweet as they are made from fermented apples. 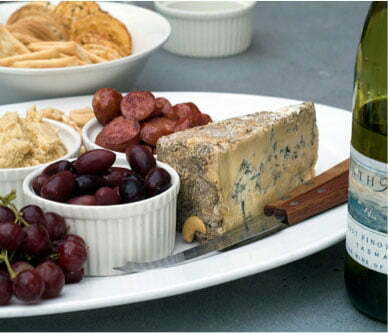 There will be just as much food available as beer, and the aromas will make your mouth water! Choose from traditional German fare when your stomach begins to rumble. There will be a variety of sausages, including bratwurst, knockwurst, and polish sausage. Pair these with sauerkraut, warm beer cheese soup, Bavarian dumplings, or apple strudels. If you don’t have a craving for German-style food, never fear! There will also be American and Tex-Mex food. There are a few options for vegans and vegetarians too, in the form of veggie burgers, potato dumplings, and pretzels. However, the fun doesn’t stop with the food! Catch one of the shows from the live bands performing German music, some of which hail from Germany. Marvel at the lively dance groups and partake in one of the many themed contests, like the stein-carrying or the log-sawing contest. If you have little ones with you, there will also be children’s activities like face painting and a bounce house. Take a break from the libations and stroll down the Budenstrasse (Avenue of the Booths) to peruse the unique arts and crafts from the various vendors. Past offerings have included old-time photography, goods made from alpaca wool, carnival treats like fudge and roasted almonds, and even a place to get your stein engraved. 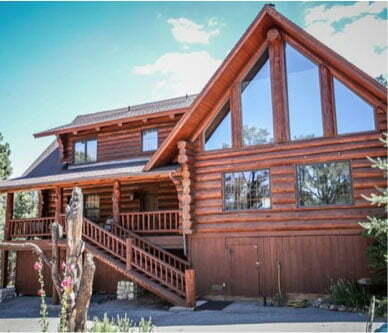 Take the shuttle back to a cozy Big Bear Lakefront Cabin and relax in luxurious surroundings. Our properties are beautiful and comfortable while still providing the unmistakable rustic atmosphere of a cabin. 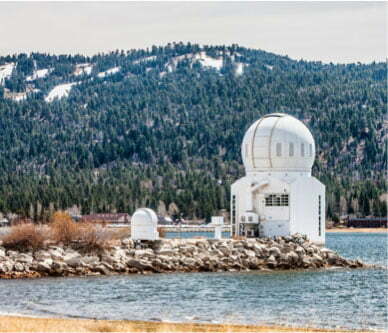 They are all in fantastic locations that put you near all the entertainment that Big Bear has to offer, from events like Big Bear Oktoberfest to outdoor activities on the lake during the winter and on the mountains during the winter. Our Timber Ranch Chalet is the perfect place to unwind. It is tucked away on Upper Moonridge, combining good location with privacy. With gorgeous vaulted ceilings, warm lighting, and floor-to-ceiling windows, you will relax from the moment you step inside. This cabin has a special treat: downstairs, you’ll find a spa room with a wood-burning fireplace. 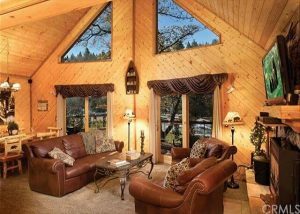 We have several other properties, so don’t forget to browse all our cabin rentals and book your stay in Big Bear today!